Even though the years are in a hurry, the girl's heart remains unchanged, and we are forever eighteen years old. = Size reference = Package width about 9cm, height about 14cm Flower pot width about 8.5cm, height about 15.5cm = Material = Dried flowers = dry flower save knowledge = ● Please put it in a ventilated and dry place. Do not place it in the sun or in any environment. 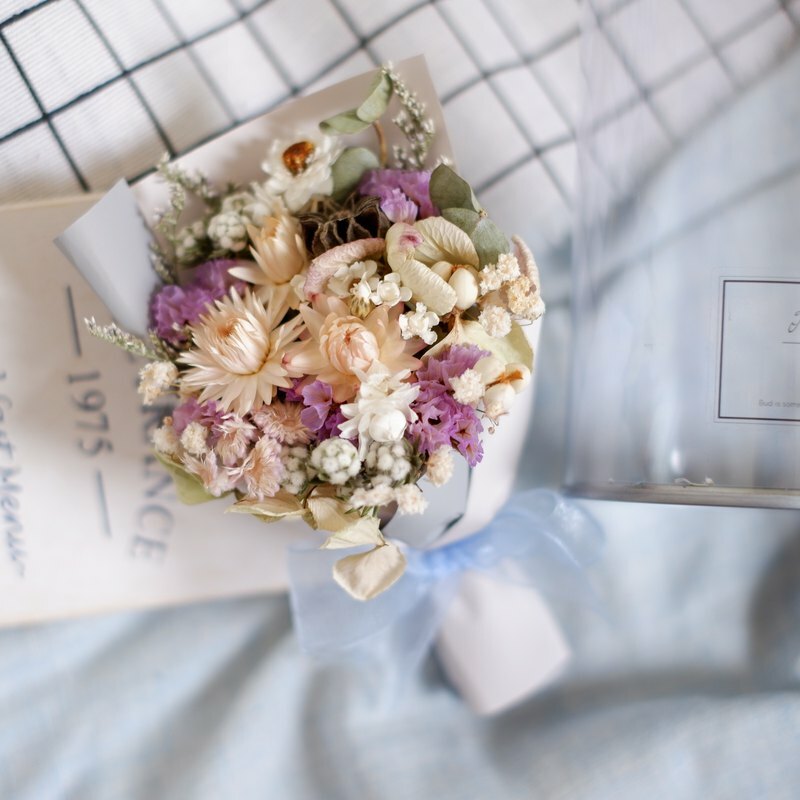 ● It is a natural phenomenon that dried flowers are slowly oxidized and faded with the increase of storage time. ● If there is accumulated dust, use a small brush to gently ● It is a natural phenomenon that dried flowers occasionally drop natural petals. Do not be afraid of fear. ● If you save it well, your work can last for six months to one year or more! = Designer and Brand Profile = Xiao Zi Hands, temperature, freshness, and sincerity, just want you to feel it.